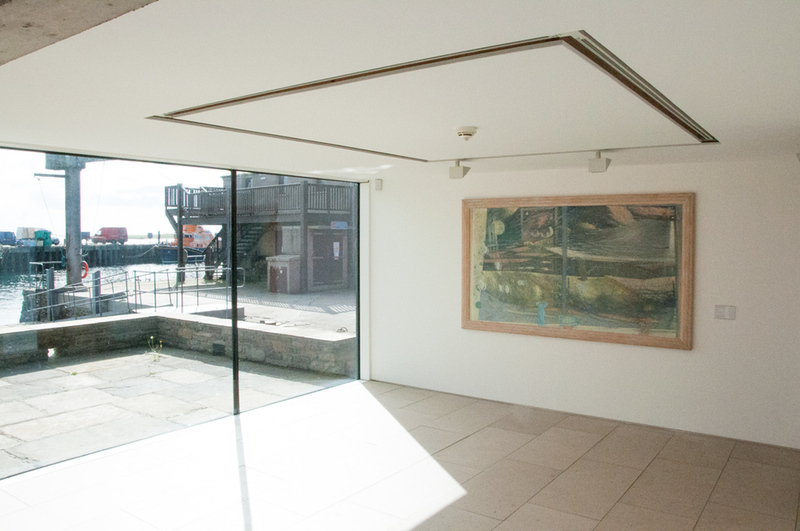 This exhibition draws on works from the Pier Arts Centre’s permanent collection to present a series of creative rooms that explore the artist’s relationship with the key elements of colour, light and nature and highlights the distinctiveness of Orkney as a place of inspiration and creative innovation. The exhibition includes paintings and prints by Alan Davie (1920–2014) whose work embraces a vast and eclectic range of symbols and imagery derived from his passion for ancient and contemporary cultures. The island of Hoy has been a draw for artists over many decades including the Scottish artist Bet Low (1924–2007) who made many paintings and studies of the island and Orcadian artist and teacher Sylvia Wishart (1936–2008) who produced a remarkable series of landscapes from her Rackwick base. 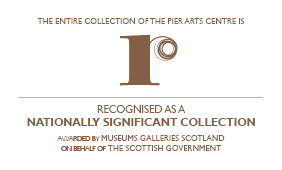 The recent gift from the Contemporary Art Society of five early prints by Ian Hamilton Finlay (1925–2006) are displayed alongside other poem prints from the Pier Arts Centre’s collection. The prints are pre-eminent examples of concrete poetry where the words and the space they occupy on the page reinforce one another. The Orcadian poet and filmmaker Margaret Tait (1918–1999) was one of Scotland’s most original and innovative artists of the 20th century. Tait described herself as a ‘film-poet’ and her work finds an intense beauty in the local and the everyday. Her film Land Makar was filmed over a period of four years, recording the crofting life of Tait’s neighbour in West Aith, Sandwick, Mary Graham Sinclair. The rusting hull of the trawler Northolem, wrecked off the rocks at Stromness kirkyard in 1966, became a singular motif in Sylvia Wishart’s work in the 1970s spawning a series of poignant and subtle works. The remains of this same wreck also inspired the Scottish artist Wilhelmina Barns-Graham (1912-2004), who produced a number of Orkney works following an extended working visit to Stromness in the mid-1980s.